The Iraqi government said Wednesday it was pulling back from its plans to increase oil production dramatically within the next five years. Baghdad, beginning in 2008, has brought in international investors despite lingering violence and protracted political concerns. A report from the International Energy Agency had said the Iraqi oil sector "holds the key" to the country's future. The obstacles to major developments in the energy sector, however, are "formidable." During a visit to Moscow, Iraqi Prime Minister Nouri al-Maliki helped secure a $100 million deal from Russian oil company Lukoil for work in southern Iraq. Lukoil is already working on developing the giant West Qurna-2 oil field in the Iraqi south and Wednesday, Russian President Vladimir Putin pushed for a deal for oil company Gazprom Neft to start work in the semiautonomous Kurdish north. Iraq is producing, on average, about 3.4 million barrels of oil per day, roughly 40 percent more than it was in 2009. Iraqi officials had said the growing interest in its oil reserves gave it reason to expect production levels could reach 12 million bpd by 2017, a level considered ambitious by most analysts. Providing few specifics, Iraqi Deputy Prime Minister Hussein al-Shahristani, a former oil minister, said talks with independent consultants led him to believe a target of around 10 million bpd by 2020 was "feasible and desirable," however. 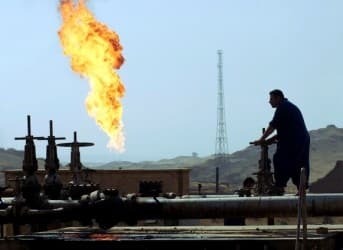 Iraq since 2008 has awarded contracts to international energy majors ranging from Exxon Mobil to the China National Offshore Oil Corp. Those deals cover only around 65 percent of the estimated 143 billion barrels worth of proven oil reserves in the country. With enough interest, the International Energy Agency said it expected Iraq to pass Russia in terms of oil exports to Asian economies by 2030. The IEA report was, generally speaking, in line with Shahristani's estimates. The country could have enough contracts on hand to produce around 9 million bpd by 2020. That increase may account for almost half of the new supplies on the global market. 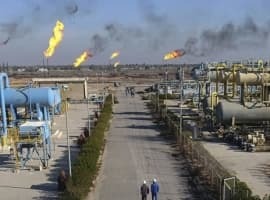 "How this works out in practice will be determined by the speed at which impediments to investment are removed, clarity on how Iraq plans to derive long?term value from its hydrocarbon wealth, international market conditions and Iraq’s success in consolidating political stability and developing its human resource base," the IEA report states. The U.S. Defense Department said it saw a rise in the number of attacks attributed to al-Qaida in Iraq during the last 10 weeks. Its ranks, meanwhile, have grown from around 1,000 to 2,500 fighters compared to last year. In terms of political issues, Baghdad announced that it stopped paying the salary for fugitive Iraqi Vice President Tariq al-Hashemi, who now resides in Turkey. Maliki accuses him of operating a death squad, a charge that highlights internal differences as much as it does regional tensions. 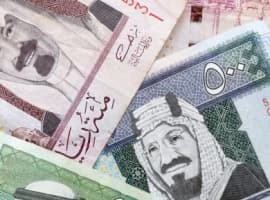 The IEA said that, given the country's contribution to the international oil market, developments there are "critical" to the health of the global economy. Success, the report said, is not guaranteed and failures there may put the global market "on course for troubled waters." "Put simply, this report shows that we all have an interest in Iraq realizing its potential and revitalizing its economy," said IEA Executive Director Maria van der Hoeven. 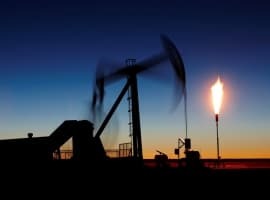 "The Iraqi government said Wednesday it was pulling back from its plans to increase oil production dramatically within the next five years."